Office 365 email disclaimer being display repetitively in email chains. 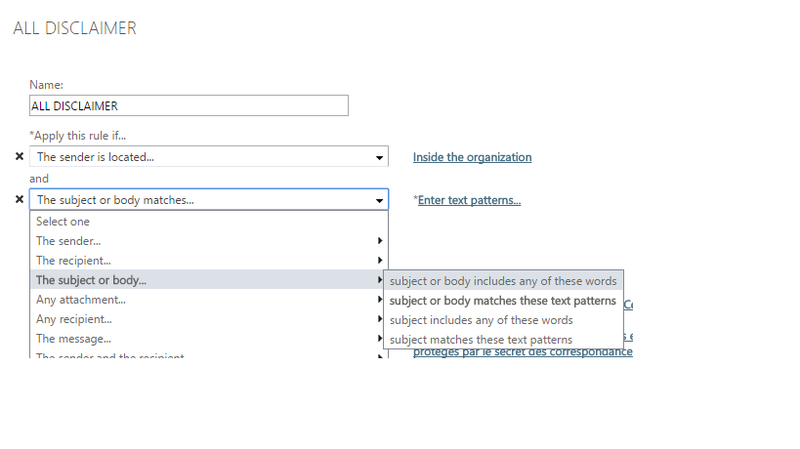 We create a company disclaimer in the Office 365 portal transport rules if the sender is located inside the organization. I have observed the disclaimer repeats itself at the end of an email chain. Is there a way to make it not to display repetitively? This is the expected behavior with disclaimers. You can adjust the Transport rule to detect "RE:" and "FW:" entries in the email subject and exclude those from the disclaimer. But that is just a workaround which will not apply to all scenarios. I try but not sure how to do it - see attached.